Secure, functional mobile collaboration for Government agencies and contractors. Mobility has enabled Government employees and federal contractors to collaborate in real time outside the home office, but at the cost of escalated risk to sensitive Government IP. Without a proactive layer of security, mobile devices and applications represent the most vulnerable end points – and instances of mobile malware are on the rise. From day one, mobile device design favored personal use and maximum interface functionality topped the priority list. Device and data protection consistently trailed behind, until recently, where overly-restrictive VPNs or EMMs have locked mobile devices down to the extent of unusability. If functionality alone is far too risky and a total device lockdown cancels out the bottom-line benefits mobility promised to begin with, what can be done to both preserve end-user experience and secure mobile collaboration for teams working remotely? Secure.Systems™ is a defense-grade mobile workspace that secures Government IP as it is accessed from teams working in the field. 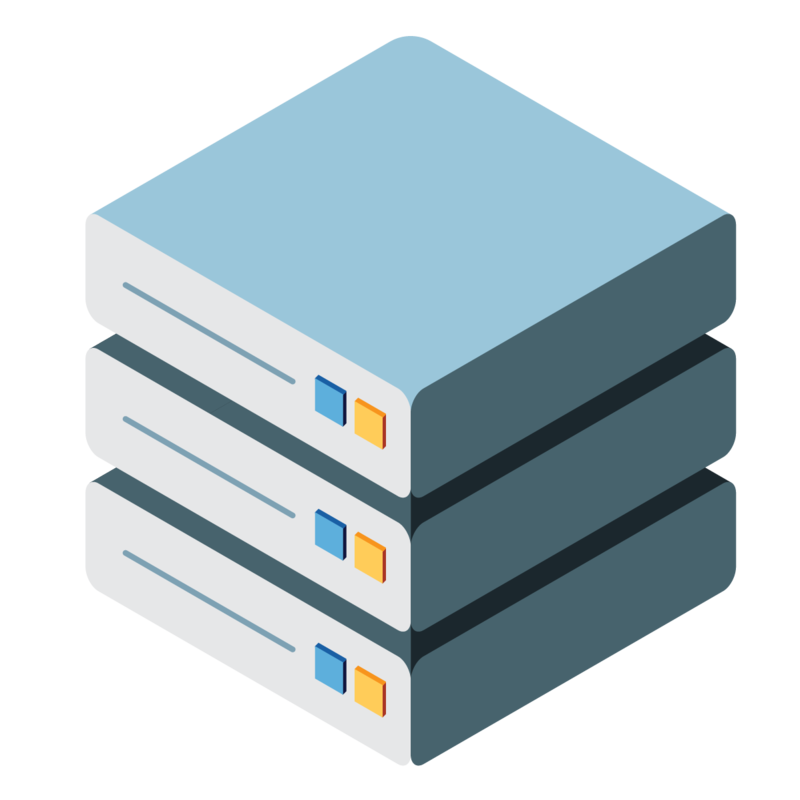 The software employs FIPS 140-2 certified, AES 256-bit encryption to secure data at rest in the container and in transit between the device and your organization’s secure network. Secure.Systems™ comes with a full suite of productivity applications, including SharePoint, Enterprise Chat, Geo-location Services, DropBox, OneDrive, a Personal Information Management (PIM) suite, Office Suite, Office 365, File Sync, and Secure Mobile App Management & Development functions. 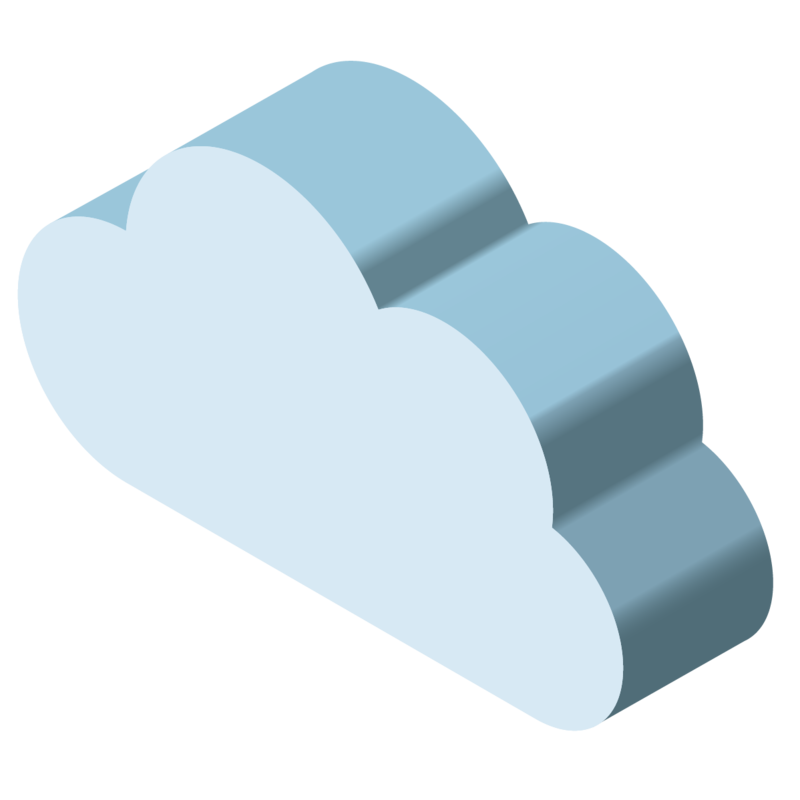 Secure.Systems™ can be easily and quickly provisioned on both iOS and Android devices from the cloud, with affordable licensing and service models from SyncDog. For more information or to request a free trial, contact us here. 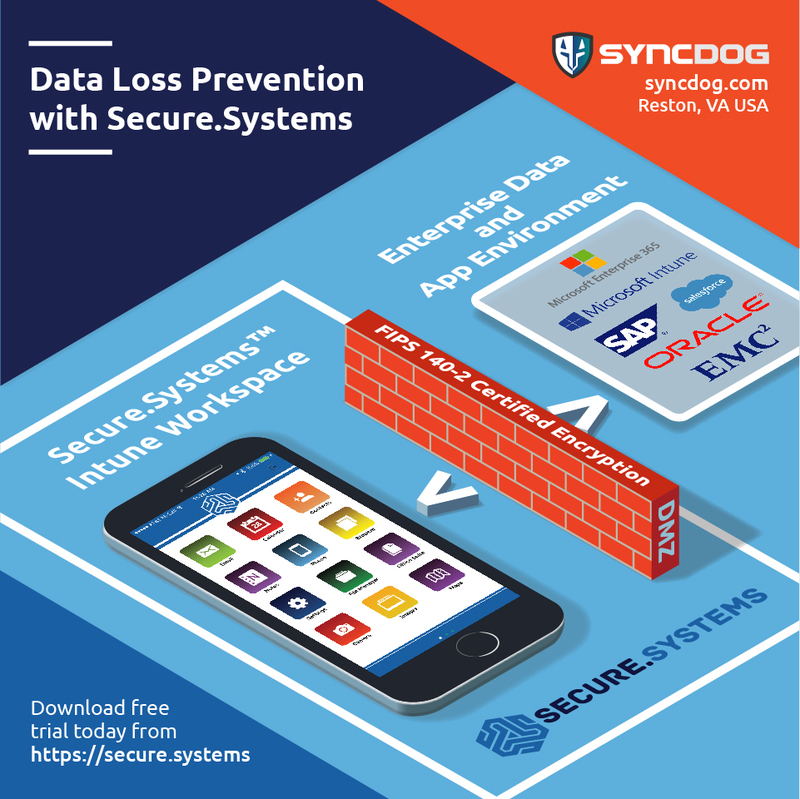 SyncDog has been working with Microsoft to secure the Intune mobile experience with Secure.Systems™, now including support for Office Enterprise 365, SharePoint, OneDrive, Skype for Business, Notes, and other widely-used Microsoft products. The Secure.Systems™ Intune Workspace is available for quick and easy deployment through the cloud, hybrid cloud, or via on-premise installation. 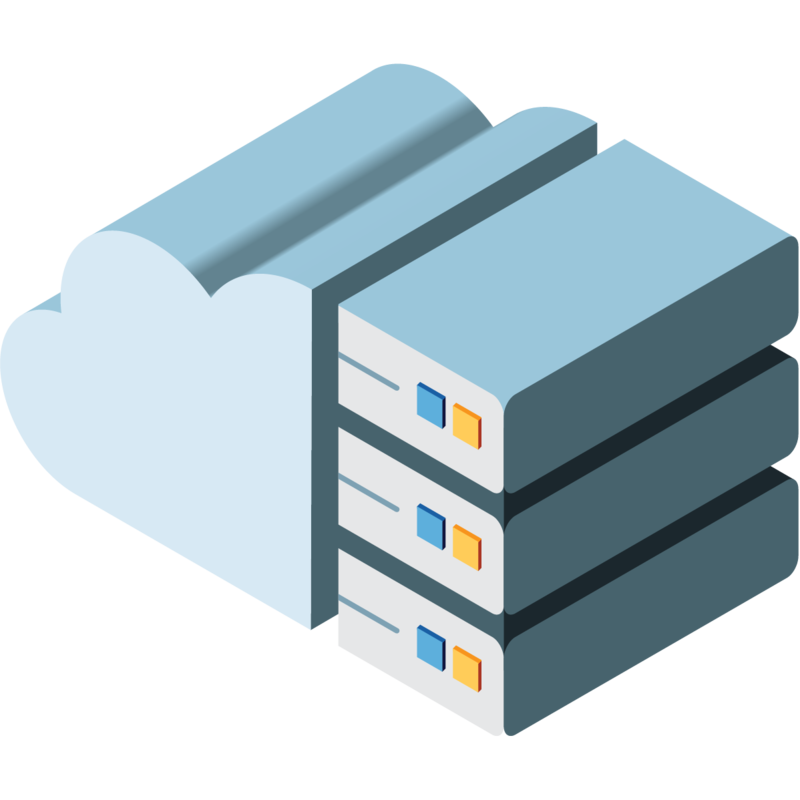 Click here for more information about the best Secure.Systems™ deployment for your organization.